This quilt pattern is called “Subtle” from Amanda Jean Nyberg’s book No Scrap Left Behind. I cut it up and then it sat for a few months, but then I decided to get going on it and I finished the queen sized quilt top in a week! That was a lot of fun. 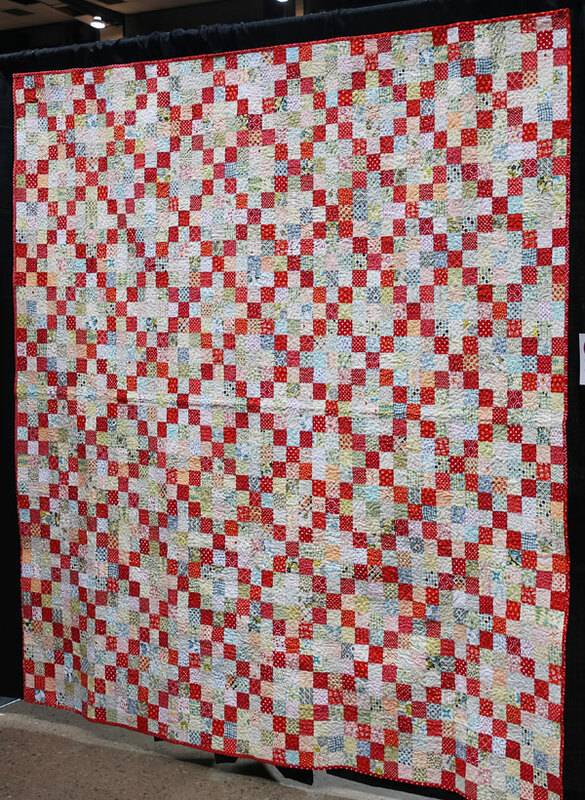 I used up a lot of my busier low volume fabrics and a ton of assorted red and white prints. 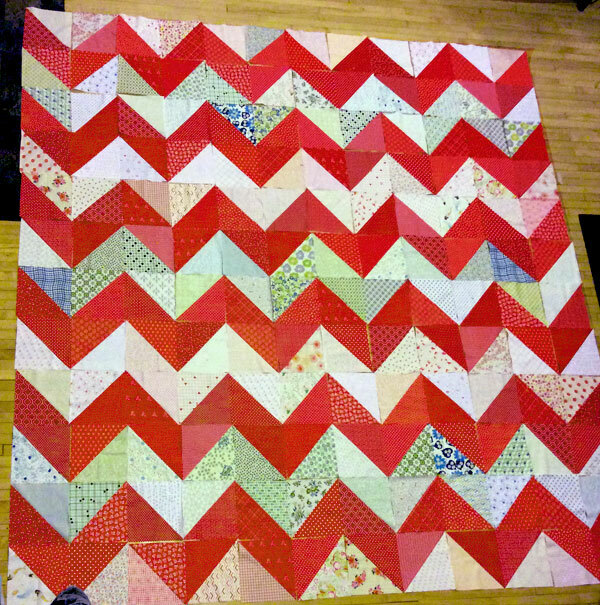 I didn’t want the backing to be boring for this one, so I made 100 HSTs out of the same fabrics from the front and arranged them in a chevron pattern. I really, really love this for a backing and it won’t be the last time I use this idea.